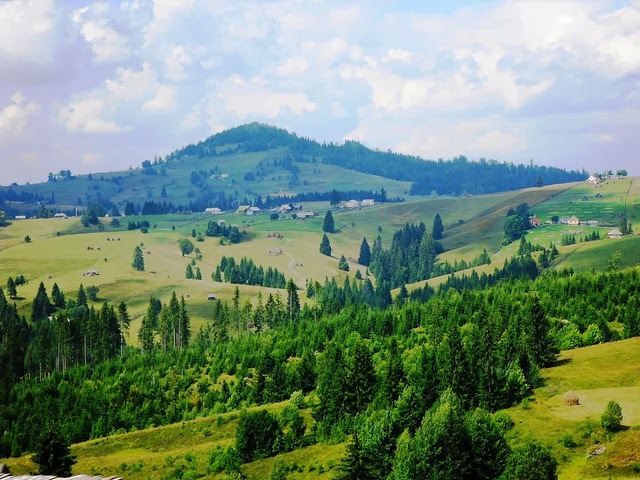 Romania, a country of natural beauty, rich diversity and cultural heritage is very popular among globe trotters. Scenic landscapes, mountains, archaic rural areas, historical cities, vibrant culture, serene atmosphere, etc. make it beautiful to such an extent that number of visitors are increasing day by day. Several small cities mix together to make a unique country known as Romania. Each city of the country has its own significance. To remember the trip to Romania, shopping can be done from various markets or grocery stores of the different cities. It can be challenging but surely full of fun and amazement. Some of the finest souvenirs that one can shop and take home are discussed below that surely help you while shopping. Romanian folk costumes are popular all around. All the handicraft shops sell different kind of folk costumes. Textile and handicraft items are very common in this place as most of the people have animals like sheep, goat, etc. from which they easily make out the raw material for their product. So, it is the main occupation of the place. Silk beads and trumpery are used mainly for decorative purposes. Romanian wine is an excellent souvenir. 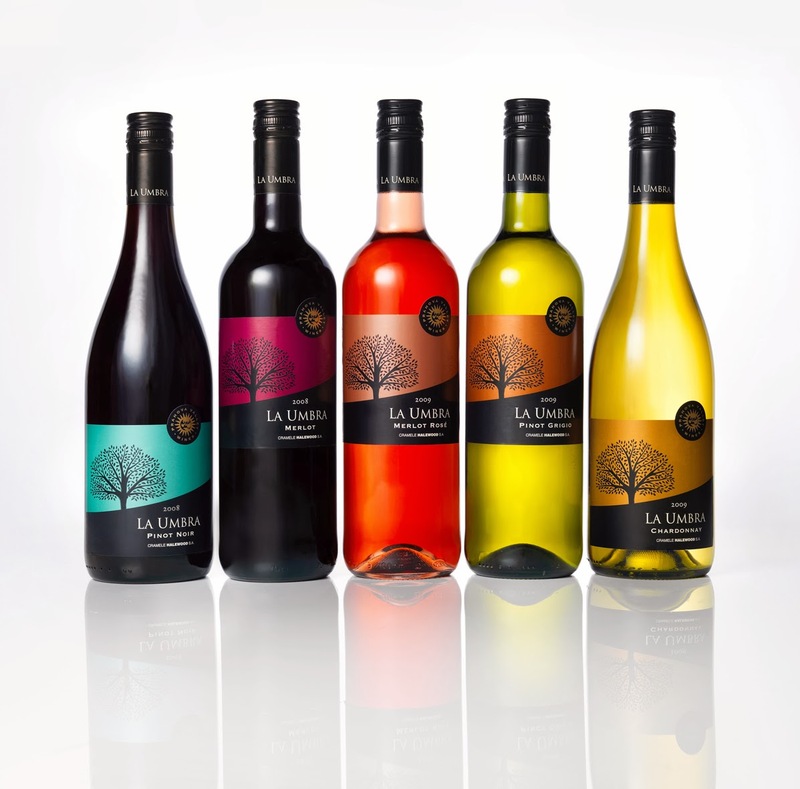 There are a wide variety of fine and reliable labels that can be chosen. Almost two per cent of Romania’s agricultural land is given over to vineyards that make Romania one of the world’s top 10 wine producers. Best known wines making regions are Dobrogea (reds), Murfatlar, Dealul Mare, Tarnava, Cotnari, Recas, etc. Different kinds of wines are produced there. 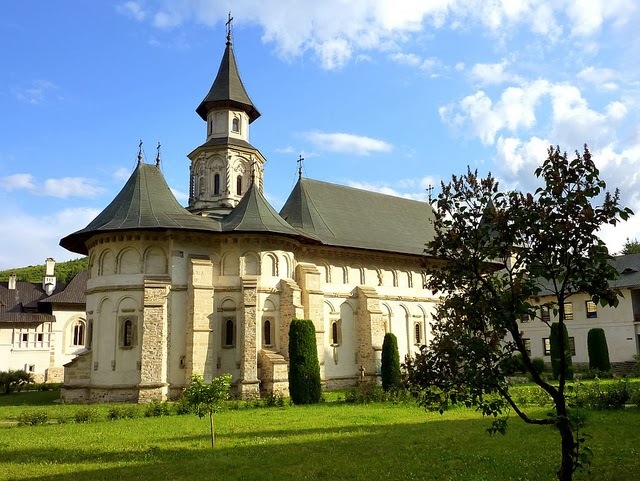 In Romania, the Christian religion is very popular as most of the people belongs to this community. Many churches are there that have beautiful architecture, elegantly decorated and boast superb interior. 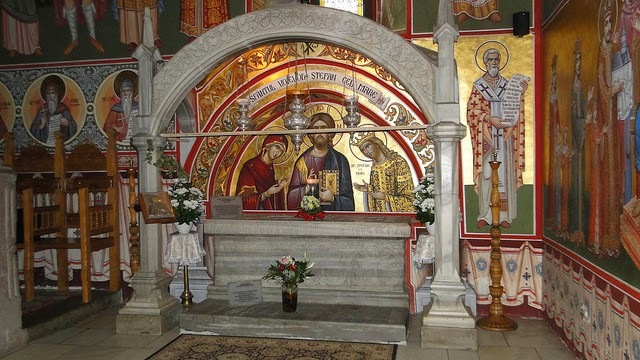 Some deeply religious people of Romania placed a couple of icons on their walls. 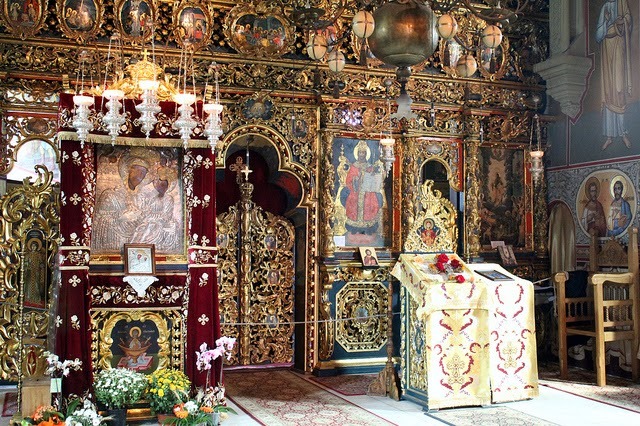 Bucharest is the place where you can find the religious icons easily and of varying quality. Colorfully framed icons are the best ones. Many shops also sell bibles, religious books, etc. 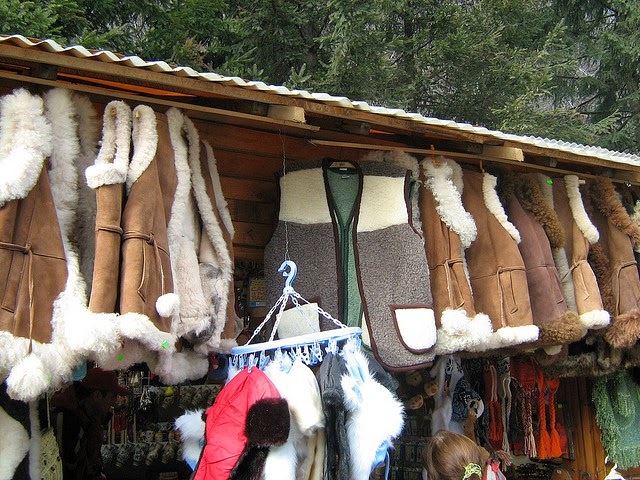 Each region has its own culture and clothing, similarly Romania has its own way of clothing. Most of the people purchase that as a most rememberable souvenir. Shirts, blouses, trousers and skirts with accessories like waistcoats, aprons, scarves, hats and fabric belts are usually worn there. Again, Bucharest is the best place to find traditional clothing and most probably at the Peasant Museum. In Peasant Museum, prices are high but quality is good and genuine. The name of this shirt is named after the best European football team Steaua Bucharest as it is the most successful team. These shirts can be found in any Nike store in Bucharest, Romania. Nike stores are available in different places like Bucharest Mall, AFI Palace, Unirea Shopping Center, etc. One can also purchase a pair of handmade shoes from Romania’s designer either of the famous one or the local one. Both provide the perfectly finished item. It may not be the cheapest souvenirs but surely be unique one. They are customized basically, so you can make it according to your choice of design and color. For clothes, many local designers are available that make the dress according to your wish as they have a wide range of designs. So, you just have to choose the design and they will make it within some hours. 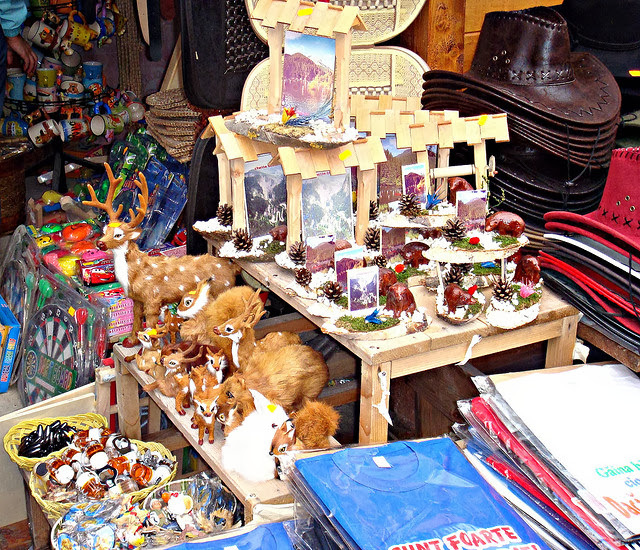 All the above said souvenirs are just the suggestions as there are number of souvenirs that can be bought from Romania’s popular cities Bucharest, Sighriasoara, etc. So, you can also add other souvenirs in the list of the above. Romania is a wonderful country. I met him a few years ago. I would like to refresh your memories. Can visit him in the coming year. I never did visit Romania when I lived in Europe, but you're making me regret that! I am always stunned by the beauty of European churches, but it does make me sad to see how grand they are and how poor some of the church-attendees are. Hi! Nice captures. Your post is always perfect. I hope you will come to Japan someday. Lovely photos from Romania..It is a beautiful place to visit. Have a happy weekend! What a neat place to visit. Thanks for informing us of the beauty and culture of Romania. The church is magnificent. Absolutely beautiful photos. Thank you so much for sharing this enchanting tour! Thanks for your photo--it's the only way I will see these wonderful places (unless I win the lottery!) Merry Christmas to you and yours. lovely landscapes always win for me over big tall skyscrapers!! merry christmas, i hope you have a wonderful holiday!! The country side and the churches look very beautiful! 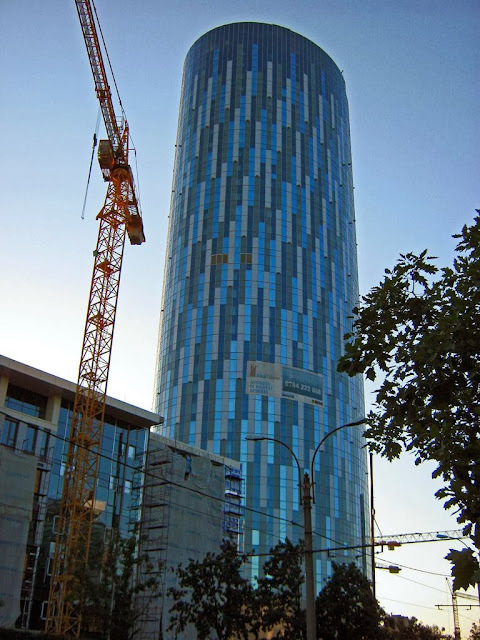 Interesting building, looks a bit like the Torre Agbar in Barcelona. Thanks for my first look at Romania! Beautiful. Wow, the churches look amazing! Hope your holidays are wonderful. Z pewnością był oglądała piękne ikony oraz kupiła wino . Wesolych Świat ! Certainly he was watching the beautiful icons and bought wine. Merry Christmas! Great collection of photos. It would be fun to shop for some of those items. Great and informative post! Romania is on my list og countrys I want to visit. Your blog looks good, too - Romania seems to be an interesting location. I wish you and your relatives a Happy New Year 2014 !!! That looks awesome, maybe someday I should visit! 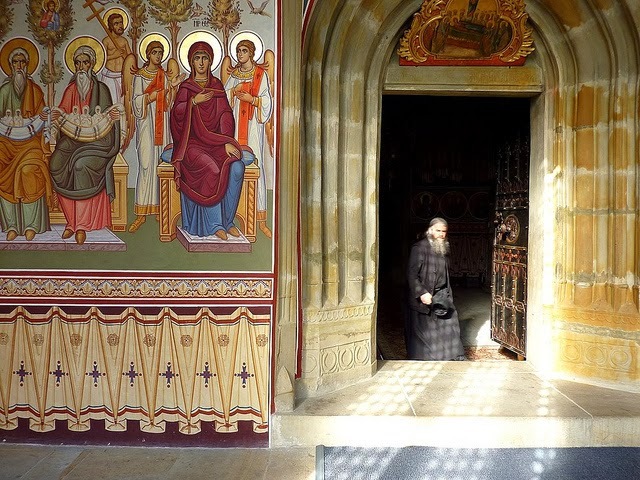 Beautiful pictures -- don't think I've ever seen anything from Romania before. Most interesting. having new clothes designed for you within a few hours sound awesome, stunning photos ! Thanks you so much friends!! I wish you and your family a Happy New Year 2014 !!! India tour have many beautiful city for travel with historical place, traveling places.